Nike Sportswear is modifying the Air Max Thea. 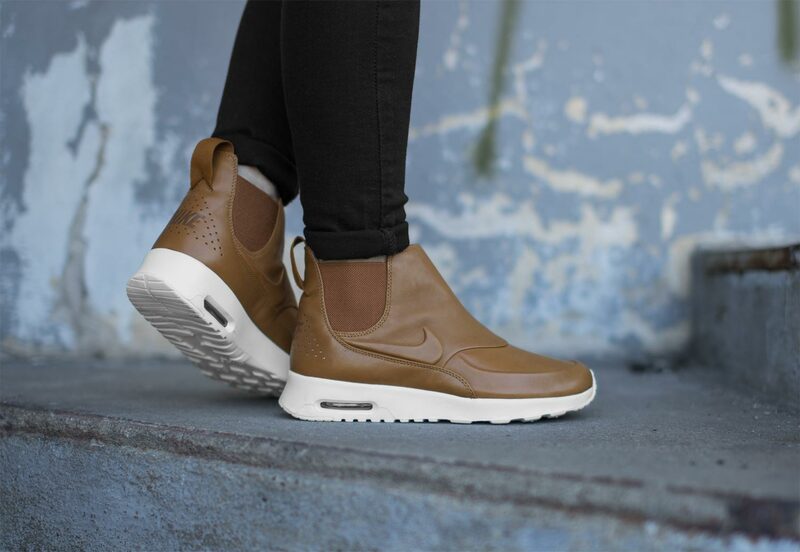 The popular silhouette is sporting a higher build with the release of the Nike Air Max Thea Mid. 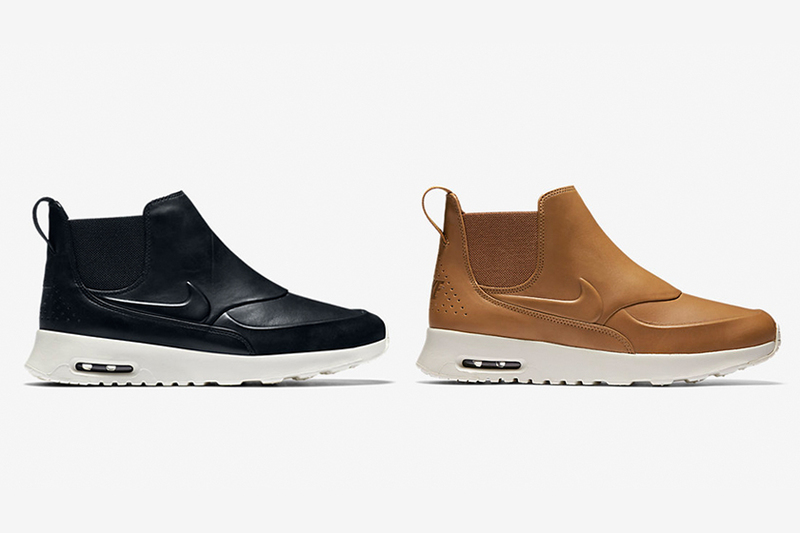 The popular Air Max silhouette has been transformed into a sneakerboot by Nike. The brand has decided to do away with the laces and has covered the shoe in a full leather upper. Converted into a mid-top, this new version of the Nike Air Max Thea also comes with elastic detailing by the ankle, and a traditional Air Max Thea sole unit done in white. The Air Max Thea Mid will be available in both black and tan/brown colourways. 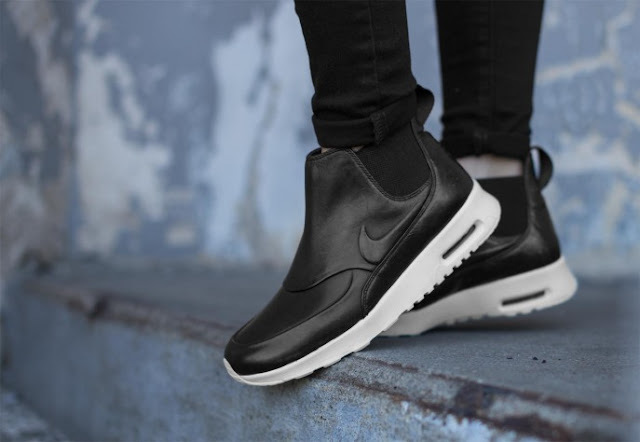 The Nike Air Max Thea Mid is available at selected retailers.